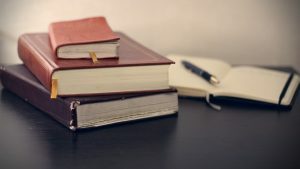 As you take on a broader range of writing assignments in your college classes, it can be helpful to read as a writer, often called reading to write. “Reading to write” means approaching reading material with a variety of tools that help prepare you to write about that reading material. These tools can include things like previewing related assignments or lectures prior to reading, specific note-taking methods while reading, and ways of thinking about and organizing the information after completing the reading. As we have learned in the “Building Strong Reading Skills” section of this text, critical reading is effective reading taken to the next step, but now we’re going to talk about how to use those reading skills to help us write about the texts we read. Instead of simply reading for your own purposes, you now will also read through the writer’s eyes, seeking to understand the deeper, interwoven meanings layered within a text. Critical reading involves the reader in grappling with the text—interacting with it. They analyze the structure of the piece. What kind of organization does it follow? Where is the thesis? What types of sentences and language are used? How are the paragraphs structured? They analyze the text itself, either exploring its content or its use of rhetoric, i.e., the ways the text uses language to make its message effective. They capture the text’s main points by summarizing its meaning. They critique the text, passing judgment on its effectiveness. They reach conclusions (make inferences) about the text. They combine their own ideas with the textual analysis to synthesize new ideas and insights. You’ll begin, of course, by reading the text. Work your way through the suggestions in the “Read Effectively” section, found in the larger “Building Strong Reading Skills” section of this text.